Hello everyone. We are using DAX2012R3 CU10. Has anyone experienced this error and how have you solved it? Usually, this can be caused by a typo or wrong credentials. 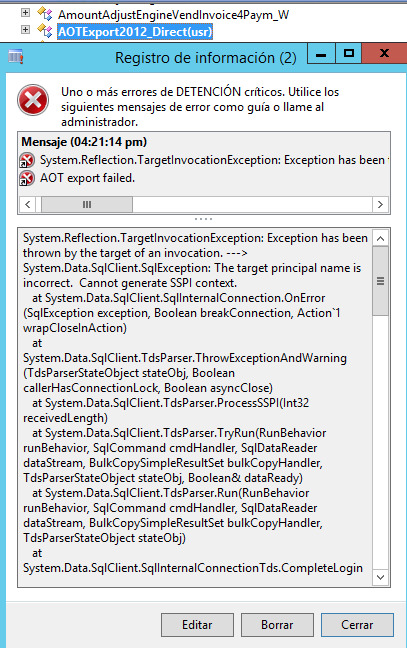 Using DynamicsPerf, I have not seen this error.